WTF: Hi Rob. You’re no stranger to SA & Whisky Live, having been out here for the last few Whisky Live Festivals. What are your impressions of the country and its people? RA: I have to say that SA is one of my favourite places to come to with Whisky Live. The people are vibrant and there is such an excitement. I love the landscape, the red earth and the wine is not bad too. I used to visit Zimbabwe a while back when my cousin lived there, and also a memorable holiday in Kenya, Africa gets under your skin, I love coming back. I fell in love with the gloriously wide spectrum of African music at an early age. A label in the UK called Earthworks released Soweto jive music a couple of years before Paul Simon unleashed “Graceland”. From the 70s Afrobeat of Fela and the gorgeous tones of Oumou Sangare to the Malian musicians Ali Farka Touré and Toumani Diabaté to the artists on that Earthworks release, it is music that plays in my kitchen, gets danced to with my little one and keeps that hook of Africa, its wide skies, warm sun and beautiful people, present in my life. WTF: More specifically, what is your take on Whisky Live SA and the SA whisky community? RA: Whisky Live SA has been a tremendous success in educating, exciting and expanding people’s palates and minds about whisky. I raise my glass to the organisers who every year take on this mammoth task and always manage to raise the bar. The whisky community is great, warm and friendly. Despite only getting out once a year it is a joy to return and see what have become old friends. I think the guys behind the distilling culture, Andy Watts at James Sedgwick and Moritz Kallmeyer at Draymans, are leading the way in terms of getting the home grown produce on the table. WTF: Will you be attending the festival in both Soweto and Sandton? RA: Unfortunately this year I will just be at Sandton. WTF: I see you’re scheduled to host 2 whisky workshops at the festival: The World Whisky Awards on Wed night, and then Independent Treasures on Thurs night. Can you give us a bit more info around each of these workshops. 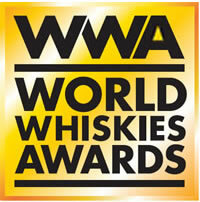 RA: Well the WWA class will be some of the world’s best whiskies from the competition, need I say more? This year’s line up is really good and includes the world’s best single malt. In the Independent treasures class I am lucky enough to be able to unveil a world exclusive from Douglas Laing and some gorgeous single cask bottlings from Master of Malt and the Scotch Malt Whisky Society. WTF: What do they entail? RA: In previous years I have had classes taste whiskies blind and vote on them, but I think this year we will just do things a little more relaxed. Share a dram, enjoy and explore some great whiskies. WTF: Can you let the readers know which whiskies they will be able to taste in your workshops? RA: Ah now… sort of already have hinted. Promise you won’t be disappointed. 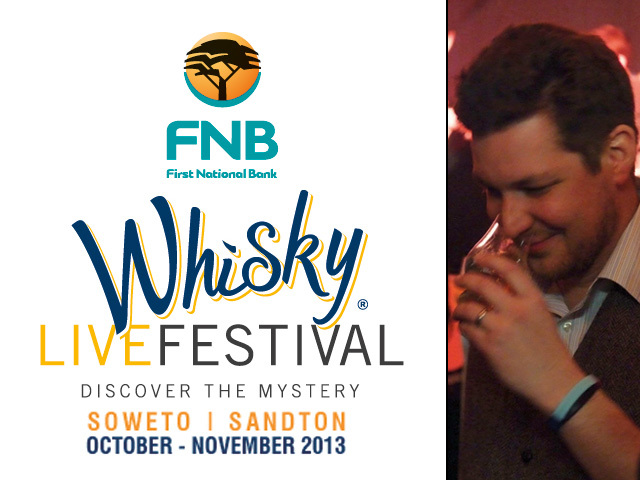 For more info on Rob’s workshops, see the 2013 FNB Whisky Live Festival Workshop Guide. WTF: Aside from your two workshops, what else will you be doing at the festival? Hosting private tastings / manning a stand / etc? RA: I am going to be doing a few smaller more informal workshops including one based on a motorbike trip I took a few years ago round the British Isles following the Victoria whisky writer Alfred Barnard. WTF: Thinking about your favourite drams, what stands out? What is it in a whisky that wins you over? WTF: Following on from that, can you share your favourite whisky with us? RA: Oh now that is a question. It changes dependent on the time of year, place, my moods and who I am with; also indoors or outdoors, cooking or eating. Too many combinations but thankfully there are a lot of expressions out there to help fit the moment. WTF: What is your “go-to” dram? RA: Again a difficult question. I guess the answer is that is open on my sideboard usually. It can be anything from light and airy lowlanders to big sherry bomb Japanese whiskies, and all shades in between. WTF: And what whisky encounter (whisky + location + company) will you never forget? RA: There have been a lot to be honest, but the ones that always stand out are drinking with friends. Whether it is on the back of my dad’s boat watching the sun go down over Windermere; sitting under the African stars with Dave Broom smoking cigars and drinking setting the world to rights, sitting up late nights with friends on sofas just having fun, listening to music and enjoying life. All responsibly of course. I recently did some recording in the Balvenie malting with the band I play in. That was very special, the whisky of choice was not what you might be expecting. 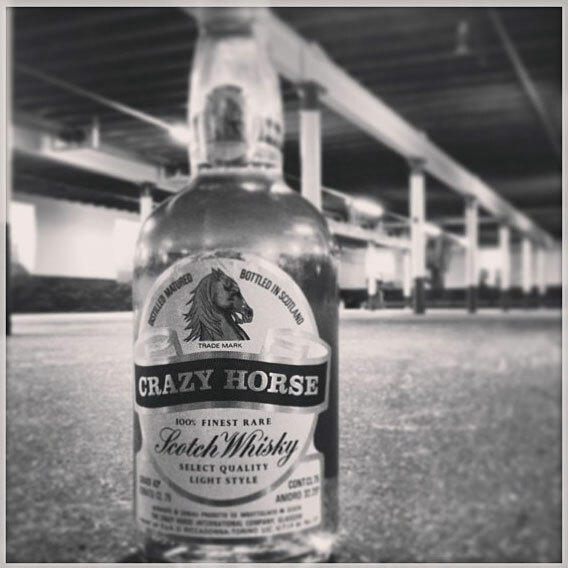 It was an old Canadian Blend called Crazy Horse. It wrote more about it in WM113. There also those moments of drinking in warehouses at the distilleries. They can never be replaced, and I heartily recommend them. WTF: Do you have a favourite food and whisky pairing? RA: Ah now, food and whisky, great bedfellows. I have done a few pairings and whisky dinners but one that totally blew me away with a masterclass I did last year with Dublin pub owner Seaneen Sullivan. I am lactose intolerant so a lot of these chocolate and cheese pairings are out for me, unless they are goat’s cheese. The pairing menu Seaneen put together was incredible and is responsible now for some of my favourite pairings. It was so well thought through, each element was balanced and a perfect fit with the whisky. WTF: And in conclusion, do you have any advice for SA whisky lovers, or those just starting out on their whisky journey? RA: Just get out there and try things. Don’t discount anything, malt, blend, blended malt or cocktails give it a go. Also always talk to the distillers, the ambassadors and the writers. We all never stop learning so keep an open mind about everything. Also I think just because someone says a whisky is rubbish is not a reason not to try it. Formulate your own opinions, after all flavour and aroma are probably some of the most subjective things out there. One piece of advice I was given when cigar tasting was never offer an opinion until you are nearly two thirds of the way through the cigar. This goes with whisky, never be too quick, nose, taste, consider and repeat. And just have fun, life is often too serious and whisky for me is the glue that binds experiences, friends and moments together, just enjoy. And there you have it folks, sage advice indeed from Rob. Track him down at the festival and have a dram or two with the man, you’ll walk away from your encounter with more whisky knowledge than before.